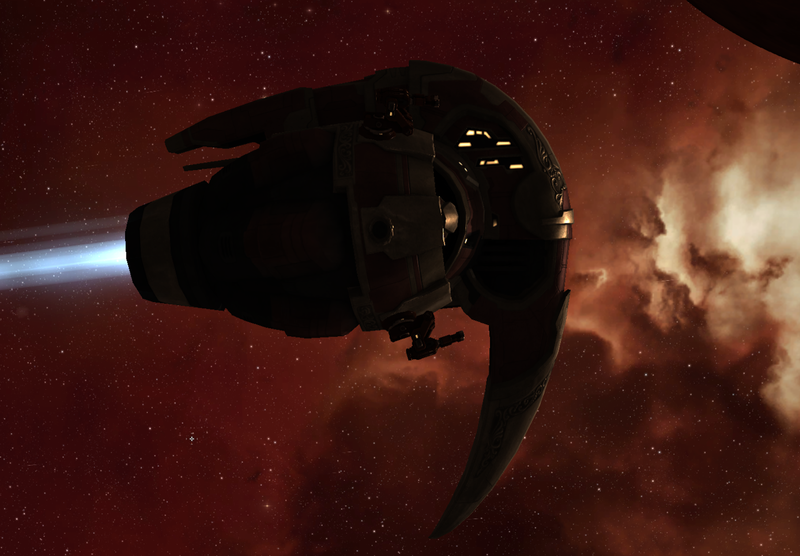 I started Eve hoping to find some Pvp corp to join up with and start roaming about. While there are a couple of groups at work, I fall back into the same problem as WoW had and MWO had…. I just don’t have a RL that fits with Multiplayer games. Generally the most consistent time for me to play is between about 5-7am AEST, so looking at the world clock, maybe some UK based time zone clan/corp/group team might be around, but most games use some form of regional servers (Eve is different – everyone is on the “same” server) and Australia is usually included in US (or SE Asia or Oceanic) so the Europeans aren’t logged on. So I have not been super enthused about Eve the past week or so. I’ve run a few more missions and started some exploration tutorials. 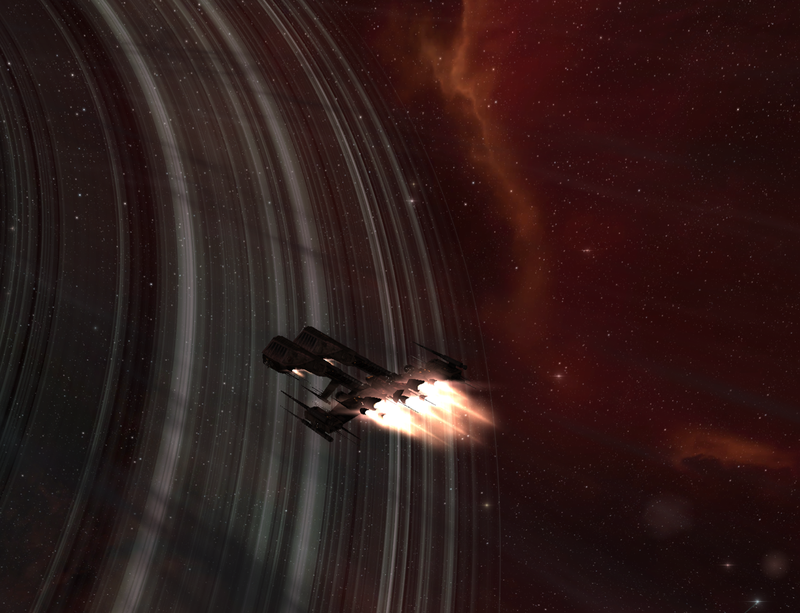 I was looking at joining a wormhole corp so figured scanning would be very necessary. Turns out that scanning is boring as fishing in WoW (yes I know some people love that – not me). 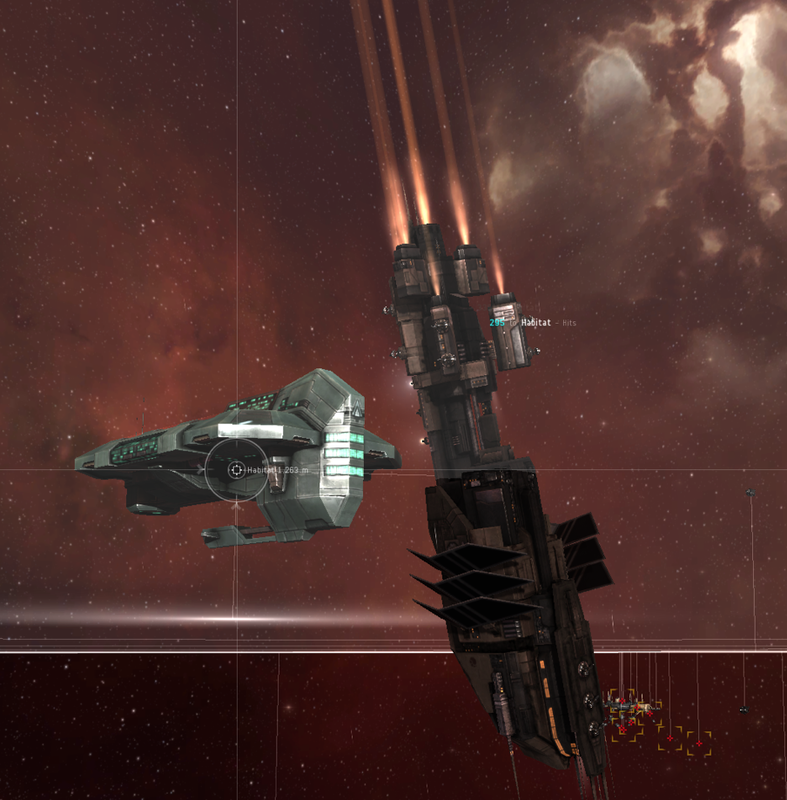 Collocated my 2 favourite ships, quit my corp and cancelled the subscription. Even went as far as deleting the game and at the same time cleaned several games from the computer. I still laugh at my EvE toon, created in 2005 (before I started WoW) I think, is still like a level 3 WoW toon. I do need to get back into Tomb Raider, and I’d like to finish Trine 2. Those can be played anytime and I should be able to fit them in around RL. Ha, what I probably need to do is get out and go for a ride! After 10 days of foul weather, Monday was sunny and it looks like the rest of the week will be too. And stop waking at 5am would be good too, lol. I found a website called eve-agent which led me to some security agents closer to my current home. Only 3 jumps from there and I found 3 of them. This is better. I launch into the nether and have to hunt, kill and destroy reds. I would guess though that I am fairly overarmed now in my Destroyer. Once I activate my guns on a target, he pops before the first cycle. Pretty happy with that. The only drawback so far is that the Destroyer takes a bit longer to close to hitting distance. This particular model doesn’t have many launcher slots so not much point in swapping to missiles. Can I get the habitat down before the reds get in range?? Afterburners help, and I’ll read up on micro warp drives to understand if that would be a good option. The other thing I’d like to do is work up the skills/tech to be able to lock more than two targets. Its still quiet though. Even when there are other Corp members on – no one talks, unless they’re all on Vent or some such. There’s sometimes some chat in the local channel, mostly folks trying to sell/scam you. I’ll give it another month or so I think, but if I can’t find an interesting corp to join, I’ll have a rethink about my intentions here. Author MabahoPosted on June 23, 2013 Categories Eve OnlineTags EVE OnlineLeave a comment on On a Mission. Space is still pretty quiet, I see lots of names in local channels as I move about but cery rarely is anyone talking. Same goes for some other channels I’ve joined. But its not just quiet, its BIG. After finishing up with the tutorials, I had no new agents, so I decided that settingout further afield would be an idea. With nothing else to go on, I looked up the HQ of my corp and decided to head there. 26 jumps away… must be far! And it was, took about 30-40 mins to get there. I looked at the galaxy map and I’d moved a little bit across the map. I zoomed out to see the whole galaxy and I’d barely dented it! I found my corp HQ station and went inside. I found an agent with a security mission, accepted and launched away. Arriving at an acceleration gate, I was confused. There were red targets here, but they were Navy… aren’t they neutral? I was just looking for escaped prisoner, surely htey wouldn’t care? So I approached the gate and was attacked. I opened fire, and shortly after decided that it would be beneficial to actually load my guns, if I really wanted to defend myself. Once loaded the guns tore through the Navy ships and I was sitting quietly in space again. Jumped and found myself set upon again. This time, my fully loaded guns were not having any effect on the reds, so I picked an item of my list and randomly warped. Thankfully no bubbles so I escaped the reds. I headed back to the corp station having decided that a heavier ship would be in order. The station didn’t sell any Destroyers, so I’ve returned to the Tech School. 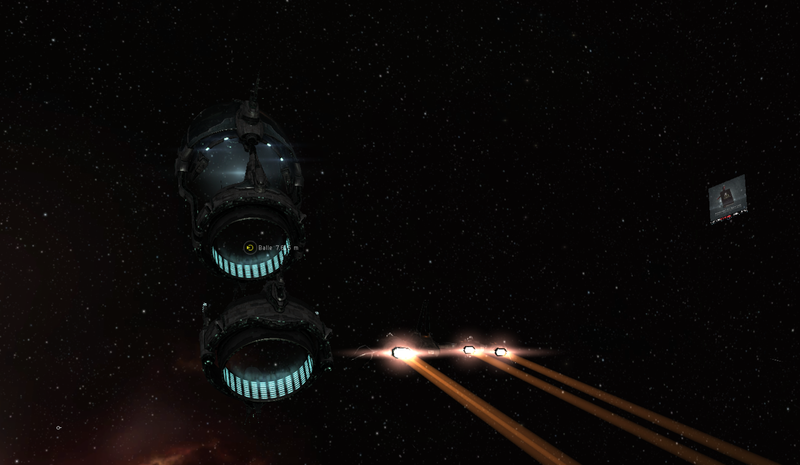 The local Caldari system obviously didn’t sell Minmater destroyers, and I didn’t want to train them. Back to Minmater space. And I’ll find some agents closer to home for the next round. All unopposed and I’m thinking have they mixed up the missions between the simple agent and the advanced. 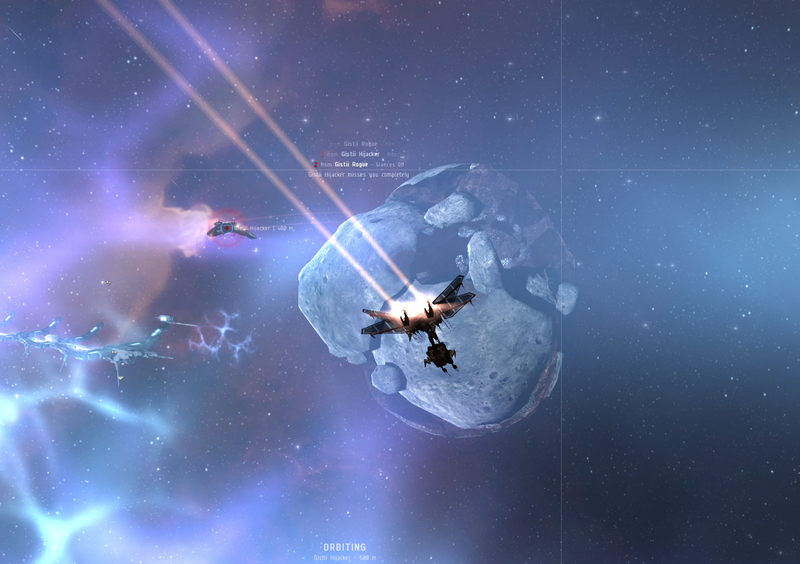 One even had me refit a Civilian Autocannon and I had to use it to destroy a single ship. The other agent had me clearing several groups of pirates, not one or none. So then he announced that the next was a test (seriously, have you taught me anything?? ), I was to hunt down a particular pirate and ensure he was dead. But be warned they would definitely be using some of those webs against me. With some missiles fitted, I planned to orbit at long range and try to separate him from any support, while grinding him down. I arrived in the location and they scrambled from the Pleasure Dome they had been visiting. I closed the range so I could shoot and lock and what I hoped was outside web range. However the damage from his wingmen was making inroads to my shields, so a change of tactic, switch to the wingmen and get them down. This didn’t seem to help and it became obvious that they were keeping me beyond the max range of my guns and with only a single missile I wasn’t DPS fast enough. Then I realised that my target was also the one who had bubbled me. If I wanted to survive this, I had to take him out. I turned back to him and ground him down with missiles. Tanking the other two I was into armour once, but my repair systems (and the capacitor) managed to stay ahead of the damage. The leader popped and the bubble dropped. I switched to the wingman, using afterburner to close quickly to bring the majority of my DPS to bear (the guns) and each wingman popped soon after. Cleared a little loot from the leaders wreck and headed home. Lessons learned are mostly focused around – I need more skirmish practice and to pay more attention to my own defences. I was managing the shield booster, but looked down again and found my shield down and half my armour gone. Another few seconds and I could have lost the ship! But it was good and I need to figure out where to head now. Need to find out where to head for missions or join up with my Corp activities. I ran three more missions this morning, finishing up with the initial Military agent. I also started to get into a groove with m shooting process. Using the keyboard shortcuts such as Ctrl (thanks to my new subscriber Red for the tip), W, and E to operate around the enemy, with the mouse selecting worked pretty well. I learnt that you can select which of the locked targets listed your weapons attack. That all helped. I also scored a new ship and got some screenies as I flew around some interesting vistas. The Reaper seems to be a heavier frigate with some launcher slots as well as turrets, so I should be able to set it up for long and short range (turrets currently short ranged). More skill training inbound…. I’m sure folks will look at my toon with a 2005 birthdate and so few skills and wonder what he’s been doing. My next planned move is to see how the Advanced Military Agent missions go. More shooting stuff… Been progressing pretty easily through the set of missions form this agent. Picked up a few little bits and pieces, but I’m still not really satisfied with my targeting process. I’m sure there must be a better way. Step one – see the red on my list, right click. As each is destroyed I have to start again. It seems… well untidy? You can also right click, or hold down over the targets, but they do have a tendency to buzz about some, making that difficult. I also discovered two ships in my inventory, that must have been gifts from CCP at some point. One is a BattleCruiser, so it will be some time before I use it. The other is another frigate, but it seems to have fewer turrets than the current ship. Still I decided to move the frigate. This meant training another race’s ships. I fitted some weapons, more for show than any expectation of being able to actually defend my ship. Then I flew it to the current system I am operating in. Successfully transfered and safe in the Station Hanger. It’s a much more sophisticated looking ship than the contraptions I have been flying. Called a Sarum Magnate (I think). Back into the action I go. But it is significantly more powerful (faster, better armed, stronger) than the older one. The learning curve continues and I’m going to have to sit down and read the control settings as I’m sure I’m doing it the hard way. I mean my process for selecting, locking, and then chasing and shooting the targets. At the moment it’s a lot of mouse all over the screen and right clicking. I’m sure I can get it set up better, especially with the dozen+ keys on my Naga mouse. So that will be the project for the next few missions. I have about 6 more in this group of missions to stuff about in. Oh, and must remember to get snap happy again…. 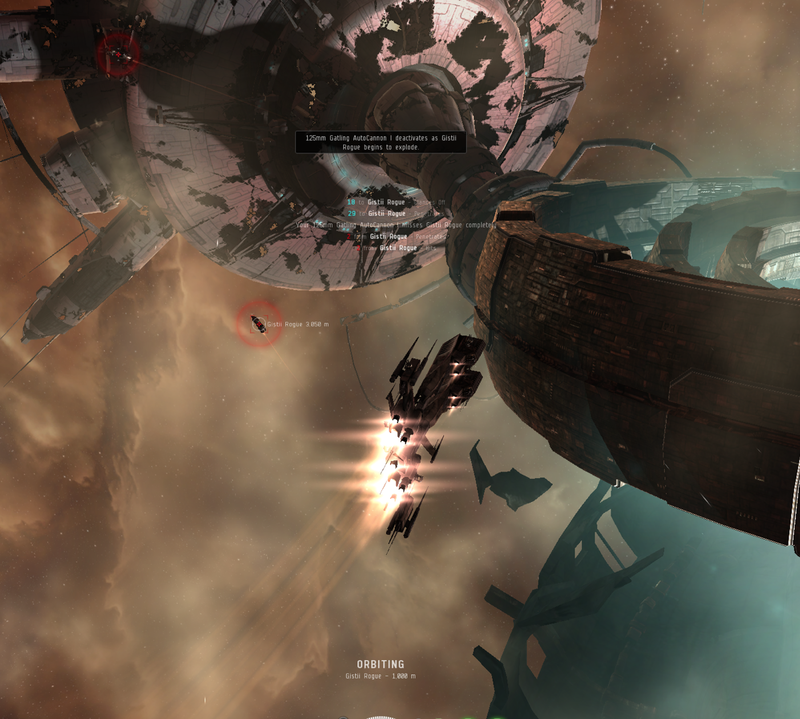 Author MabahoPosted on June 8, 2013 June 20, 2013 Categories Eve OnlineTags EVE Online, Misc Games1 Comment on Red things go boom! At least the part where I am at the moment. Not a lot of conversation going on in the local chat screens. I’ve worked through the tutorials again now. And I think it might even be the first time I’ve gotten all the way through them as I ended up in a different system this time. Now I can choose from some other missions that will teach me the basics of the main career choices in Eve, Military, Industrial, Exploration and Mining. I’m actually looking to PvP eventually so I’ll follow the military path and see how things go. I’ve dusted off a seven year old toon in order to find something to play on this gorgeous iMac screen. 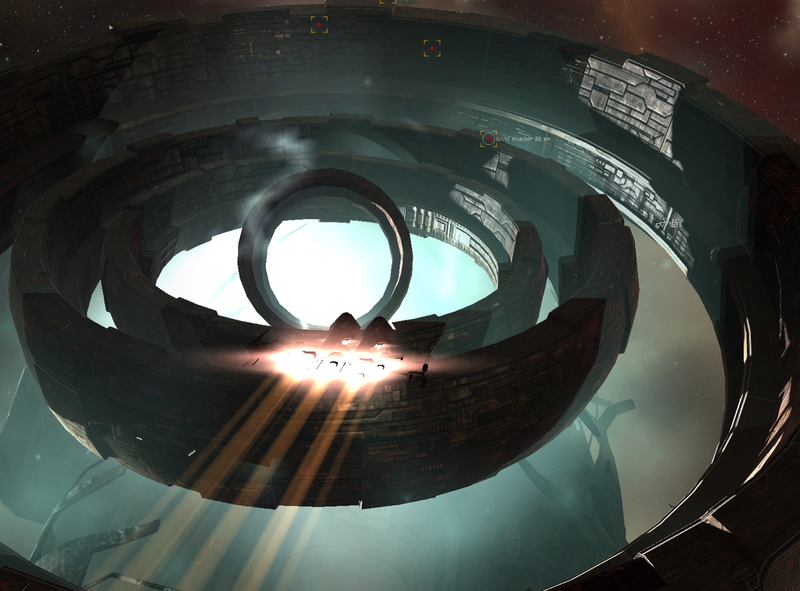 Pretty obviously from the screenshot, it’s not WoW, the toon is in Eve. I had a couple of goes at Eve over the past few years, but never subscribed. The main reason for not spending time in the game is that I didn’t really have time to learn it, with RL and WoW as well. As you know, WoW is not about anymore. Looking about for something to play I discovered that (several years ago) they released a Mac client for Eve. So I’ve downloaded it and it looks pretty great on the 27″ screen. So I’ve logged in to find lots has changed… I think… Having played for a total of about 2 hours in that seven years, my memories are pretty hopeless. However I don’t remember seeing a toon, only ships. You can now get out of your ship and stand in your “office” but I can’t see any use to that. Decoration I think. Anyway I found a couple of ships in my hanger, a lot of skills to train and almost no inventory. I can’t seem to get the tutorials reset so I’ll have to chat to the pros at work to get some tips. I have managed to get out of the station and fly about a bit. No autopilot or warping, and no shooting yet. I think I have to find some missions or a corp to join up with to get things moving. I did find out how the screenshots work (and where they get stored on the Mac), so I can document my progress. I’ve heard Eve is pretty unforgiving, so I will have to keep my wits about me.